In the first “Slaying Proportions” post, you learned how to save time by canceling horizontally as well as vertically. In this post you’ll learn how to save even more time with another shortcut. Let’s look at an example to refresh our memory. One diagonal holds the 15 and the 3; the other holds the ‘a’ and the 5.
and ‘5’ is the “variable’s partner. We’ll call this the Diagonal Trick. What’s the “variable’s partner”? 9. What’s in the “other diagonal”? 13 and 45. This simplifies to 65, of course. Isn’t it nice not to have to “cross-multiply” any more? Another nice thing: the Diagonal Trick works no matter where the variable is located in the original proportion. All you need to do is identify the “variable’s partner,” and the “other diagonal,” and then you’re all good go with the Diagonal Trick. Try a few of these to see how easy and convenient the Diagonal Trick makes it to solve proportions. So c’mon … everything that can be said about simplifying fractions has been said … right? Not quite! Here’s something that might just be original … a hack to smack those fractions down to size. Suppose you’re staring at an annoying-looking fraction: 96/104, and it’s annoying the heck out of you, particularly because it’s smirking at you! 1st) Subtract to get the difference between numerator and denominator. I also like to call this the gap between the numbers. Difference (aka, gap) = 104 – 96 = 8. NOTE: Turns out that this gap, 8, is the upper limit for any numbers that can possibly go into BOTH 96 and 104. No number larger than 8 can go into both. And this is a … HACK FACT: The gap represents the largest number that could possibly go into BOTH numerator and denominator. In other words, the gap is the largest possible greatest common factor (GCF). 2nd) Try 8. Does 8 go into both 96 and 104? Turns out it does, so smack the numerator and denominator down to size: 96 ÷ 8 = 12, and 104 ÷ 8 = 13. 3rd) State the answer: 96/104 = 12/13. Is it still smirking? I think … NOT! Try another. Say you’re now puzzling over: 74/80. 1st) Subtract to get the gap. 80 – 74 = 6. So 6 is the largest number that can possibly go into BOTH 74 and 80. 2nd) So try 6. Does it go into both 74 and 80? No, in fact it goes into neither number. NOTE: Turns out that even though 6 does NOT go into 74 OR 80, the fact that the gap is 6 still says something. It tells us that the only numbers that can possibly go into both 74 and 80 are the factors of 6: 6, 3 and 2. This, it turns out, is another … HACK FACT: Once you know the gap, the only numbers that can possibly go into the two numbers that make the gap are either the factors of the gap, or the gap number itself. 3rd) So now, try the next largest factor of 6, which just happens to be 3. Does 3 go into both 74 and 80? No. Like 6, 3 goes into neither 74 nor 80. But that’s actually a good thing because now there’s only one last factor to test, 2. Does 2 go into both 74 and 80? Yes! At last you’ve found a number that goes into both numerator and denominator. 4th) Hack the numbers down to size: 74 ÷ 2 = 37, and 80 ÷ 2 = 40. 5th) State the answer. 74/80 gets hacked down to 37/40, and that fraction, my dear friends, is the answer. 37/40 the final, simplified form of 74/80. 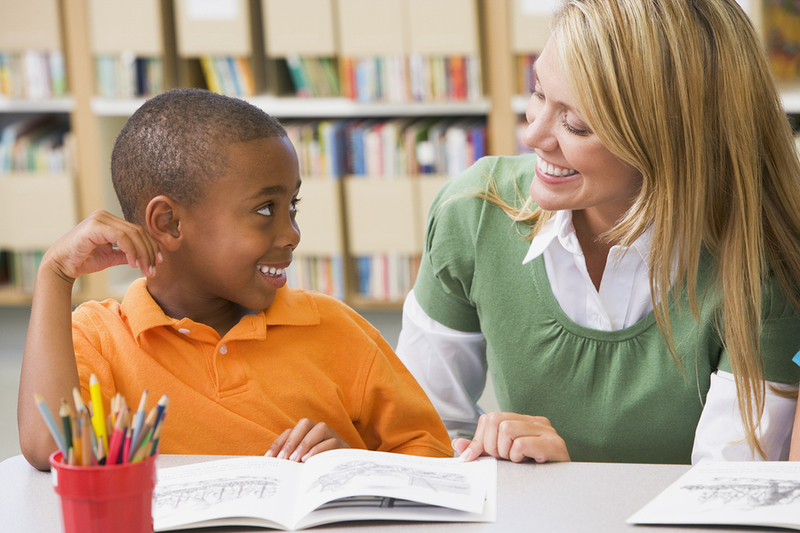 O.K., are you ready to smack some of those fractions down to size? I believe you are. So here are some problems that will let you test out your new hack. As you slash these numbers down, remember this rule. In some of these problems the gap number itself is the number that divides into numerator and denominator. But in other problems, it’s not the gap number itself, but rather a factor of the gap number that slashes both numbers down to size. So if the gap number itself doesn’t work, don’t forget to check out its factors. Ready then? Here you go … For each problem, state the gap and find the largest number that goes into both numerator and denominator. Then write the simplified version of the fraction. 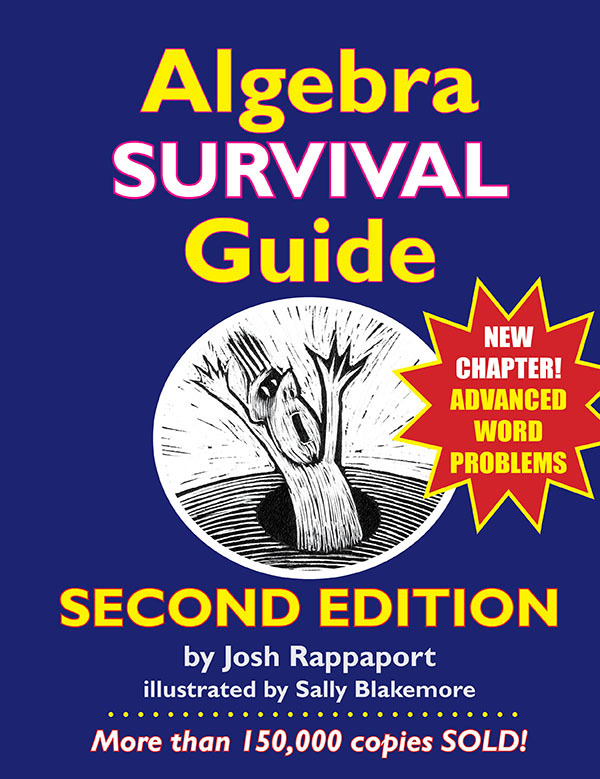 Josh Rappaport is the author of five math books, including the wildly popular Algebra Survival Guide and its trusty sidekick, the Algebra Survival Workbook. Josh has been tutoring math for more years than he can count — even though he’s pretty good at counting after all that tutoring — and he now tutors students in math, nationwide, by Skype. Josh and his remarkably helpful wife, Kathy, use Skype to tutor students in the U.S. and Canada, preparing them for the “semi-evil” ACT and SAT college entrance tests. If you’d be interested in seeing your ACT or SAT scores rise dramatically, shoot an email to Josh, addressing it to: josh@SingingTurtle.com We’ll keep an eye out for your email, and our tutoring light will always be ON. Here are the tricks for divisibility by 2, 5 and 10. Quick: What English word has 12 letters, almost half of which are are the letter “i” — well, 5 of the 12, to be exact? Why it’s the word “D-I-V-I-S-I-B-I-L-I-T-Y” — a great thing to understand if you’re going to spend any amount of time doing math. And guess what: virtually ALL students do a fair amount of math, so everyone would do well to master the tricks of divisibility. — Need I say more? I’m sure you get the point — divisibility tricks are handy to know. Since the tricks of divisibility are fun and interesting, too, I’ll share as many as I can think of. If, after I’m done, you know tricks I have not mentioned, feel free to share them as comments. Or, if you know any additional tricks for the numbers I’m covering, share those! It’s always fun to learn ways to get faster at math. 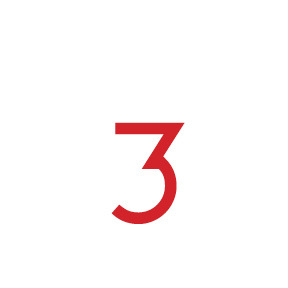 Today, I’ll share the trick that tells us whether or not a number is divisible by 3. Now many of you probably know the basic trick. But even if you do, don’t skip this blogpost. For after I show how this trick is usually presented, I’ll share a few extra tricks that most people don’t know, tricks that make the basic trick even easier to use. 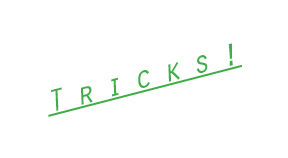 Here’s how the trick is usually presented. Take any whole number and add up its digits. If the digits add up to a multiple of 3 (3, 6, 9, 12, etc. ), then 3 divides into the original number. And if the digits add up to a number that is not a multiple of 3 (5, 7, 8, 10, 11, etc. ), then 3 does not divide into the original number. Since 5 is NOT a multiple of 3, 3 does NOT divide into 311 evenly. Since 6 IS a multiple of 3, 3 DOES divide into 411 evenly. 311 ÷ 3 = 103.666 … So 3 does NOT divide in evenly. But 411 ÷ 3 = 137 exactly. So 3 DOES divide in evenly. Isn’t it great how reliable math rules are? I mean, they ALWAYS work, if the rule is correct. In what other field do we get that level of certainty?! Now, to make the rule work even faster, consider this trick. If the number in question has any 0s, 3s, 6s, or 9s, you can disregard those digits. For example, let’s say you need to know if 6,203 is divisible by 3. When adding up the digits, you DON’T need to add the 6, 0 or 3. All you need to do is look at the 2. Since 2 is NOT a multiple of 3, 3 does NOT go into 6,203. So now try this … what digits do you need to add up in the following numbers? And, based on that, is the number divisible by 3, or not? a) 5,391: Consider only the 5 & the 1. DIVISIBLE by 3.
b) 16,037: Consider only the 1 & 7. NOT divisible by 3.
c) 972,132: Consider only the 7, 2, 1 & 2. DIVISIBLE by 3. Just as you can disregard any digits that are 0, 3, 6, and 9, we can also disregard pairs of numbers that add up to a sum that’s divisible by 3. For example, if a number has a 5 and a 4, we can disregard those two digits, since they add up to 9. And if a number has an 8 and a 4, we can disregard them, since they add up to 12, a multiple of 3. Try this. See which digits you need to consider for these numbers. Then tell whether or not the number is divisible by 3.
b) 62,497: Disregard 6; disregard 2 & 4 (Why? ); disregard 9. Consider only the 7. Number is NOT divisible by 3.
c) 102,386: Disregard 0, 3, 6. Disregard 1 & 2 (Why?). 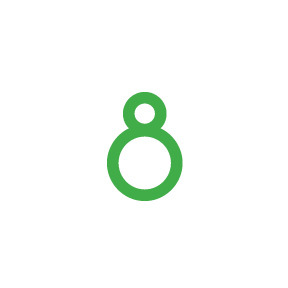 Consider only the 8. Number is NOT divisible by 3. See how you can save time using these corollaries? Using the trick and the corollaries, determine which numbers you need to consider, then decide whether or not 3 divides into these numbers. a) 47: Consider the 4 and 7. Number NOT divisible by 3.
b) 915: Consider no digits. Number IS divisible by 3.
c) 4,316: Consider the 4, 1. Number NOT divisible by 3.
d) 84,563: Consider only the 5. Number NOT divisible by 3.
e) 71,031: Consider the 7, 1, 1. Number IS divisible by 3.
f) 367,492: Consider only the 7. Number NOT divisible by 3.
g) 5,648: Consider only the 5. Number NOT divisible by 3.
h) 12,039: Consider no digits. Number IS divisible by 3.
i) 79: Consider only the 7. Number NOT divisible by 3.
j) 617: Consider the 1, 7. Number NOT divisible by 3.
k) 927: Consider no digits. Number IS divisible by 3.